Along with the gay scene, Hilton Beach has also captured the niche water-sports market. The Sea Centre Club offers windsurfing and kayaking classes, with special lessons for beginners and children. 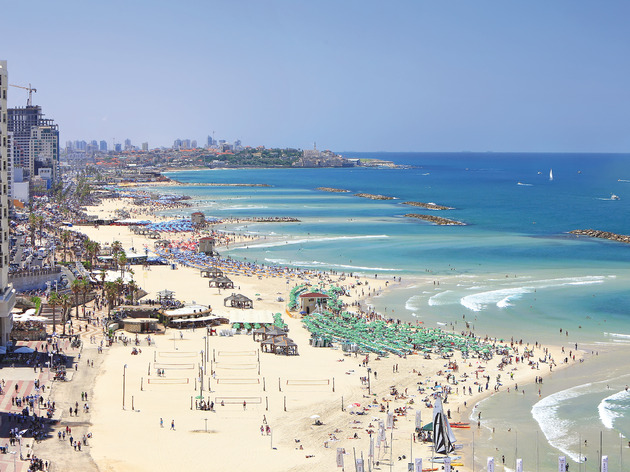 With a host of restaurants offering varied beach food, Hilton beach is perfect for a day or night-time chill-out, summer or winter. 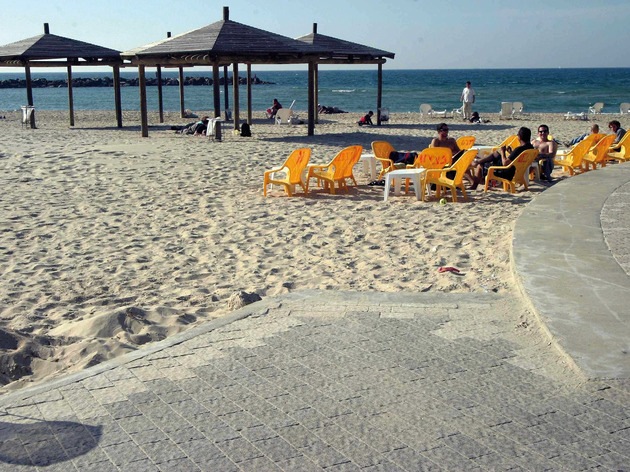 Known as the “matkot” beach, the incessant tick tacking of this annoying game loved by Israeli beach-goers is rampant. Either join in for a heated game, or cool off in the sea. 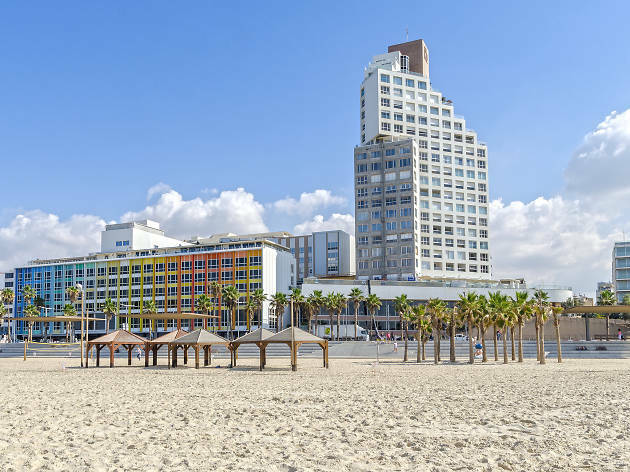 Just across the street, beach-goers can nosh at Tel Aviv’s Abulafia (Jaffa’s famous Arabic bakery), or refuel at Shakes Pree next door for fresh juices and shakes. The beach café, Tzfoni BeTayelet, is spacious and perfect for catching the sunset. Gordon Beach boasts volleyball courts and a lovely saltwater swimming pool, surrounded by lawns to lounge on. 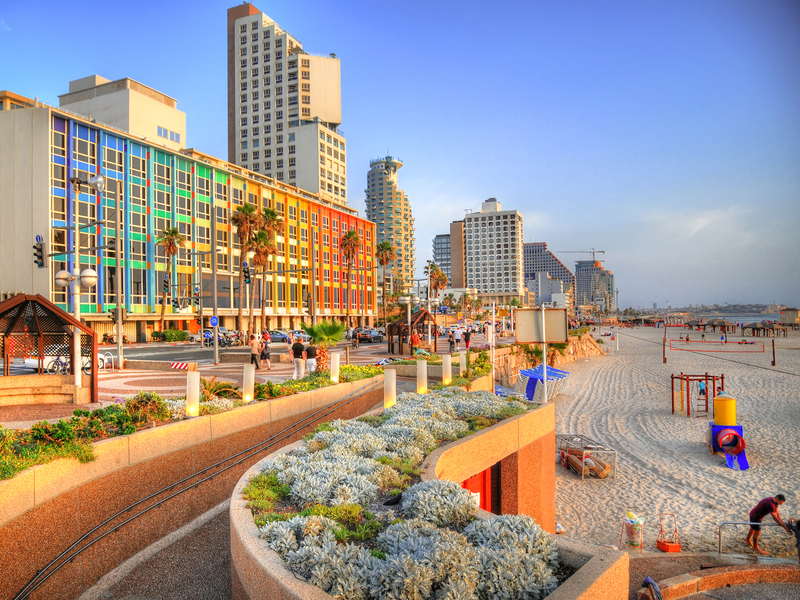 On the boardwalk you’ll find a myriad of restaurants serving huge portions of classics like Israeli breakfast, fresh fish, sandwiches and a huge array of salads. After sundown, various outdoor beach bars provide sun-burnt partiers with some afterhours fun with DJs, drinks and dancing. Bograshov Beach is the perfect place to be right in the center of it all. 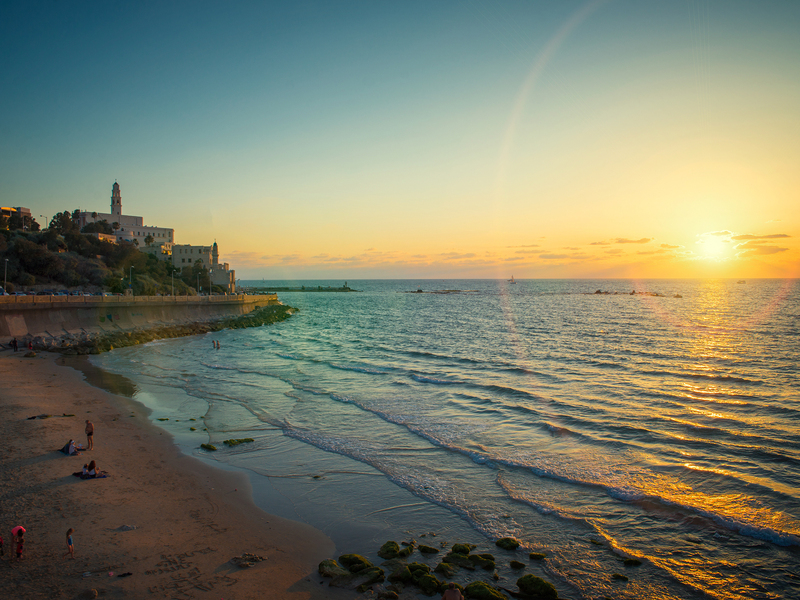 Tourists and locals alike love to hang out on this bustling stretch of coast, and you can’t blame them! Grab yourself a spot in the sand and enjoy the view of the gorgeous Mediterranean Sea on one side, the architecture of Tel Aviv on the other, and tons of beautiful beach bums in between. Bograshov Beach is definitely a prime spot to do some great people watching. Plus, if you get hungry, you’re just steps away from a wide range of delicious eateries. 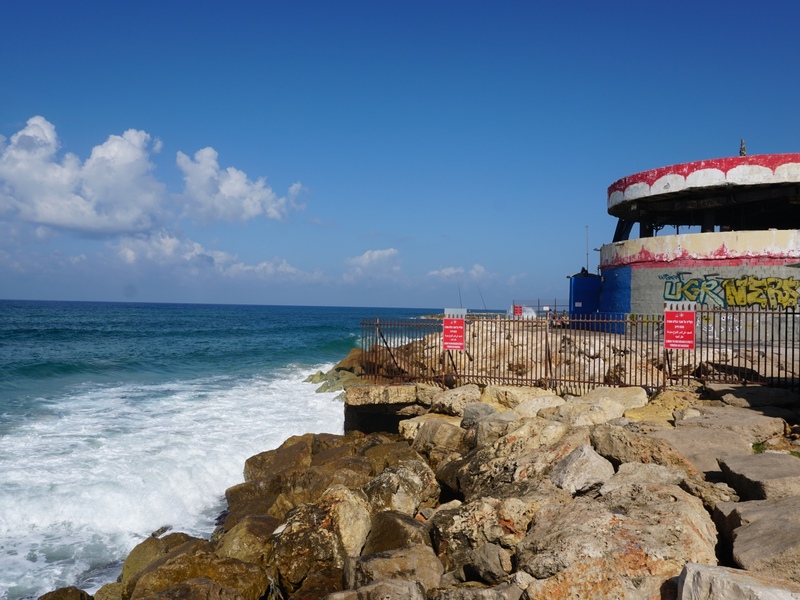 Beachside eateries offering good food, a late night lounge bar, a super-chilled atmosphere and beach loungers can be found at this legendary beach. With a playground, decent toilets and a prime location only minutes from the Tel Aviv Port, it’s easy to understand why Mezizim has become the beach of choice for both families and young patrons. 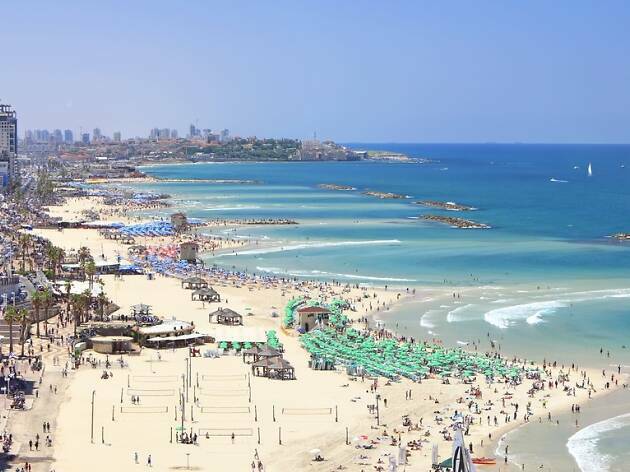 Located on the southern strip of Tel Aviv’s coastline, The Maravi beach ('The Western beach' in Hebrew) aka Manta Ray beach, is the last sandy beach before hitting Jaffa. The Maravi is actually an open coastal strip that usually enjoys high waves when the rest of the surfing beaches are relatively low. 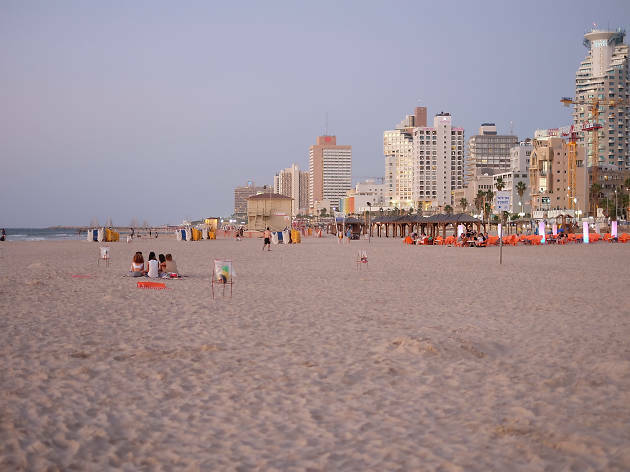 It is a fun beach liked by surfers mainly during the summer, with relatively clean water, sandy ground, and waves that break both left and right. 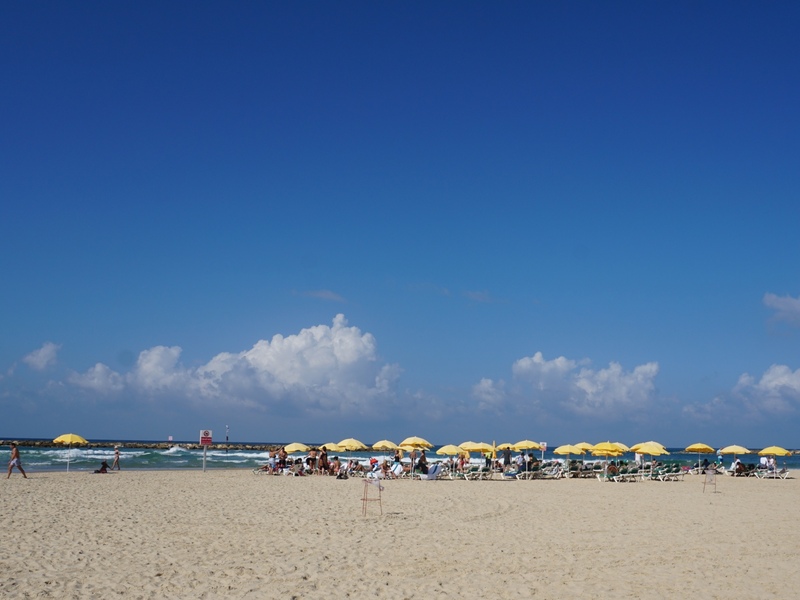 This wide, white sandy beach has a shallow entry into the water, making it a great place for families with children. For those who get antsy laying around all day, there are beach volleyball courts in addition to a fitness trail to get a workout in the sun. 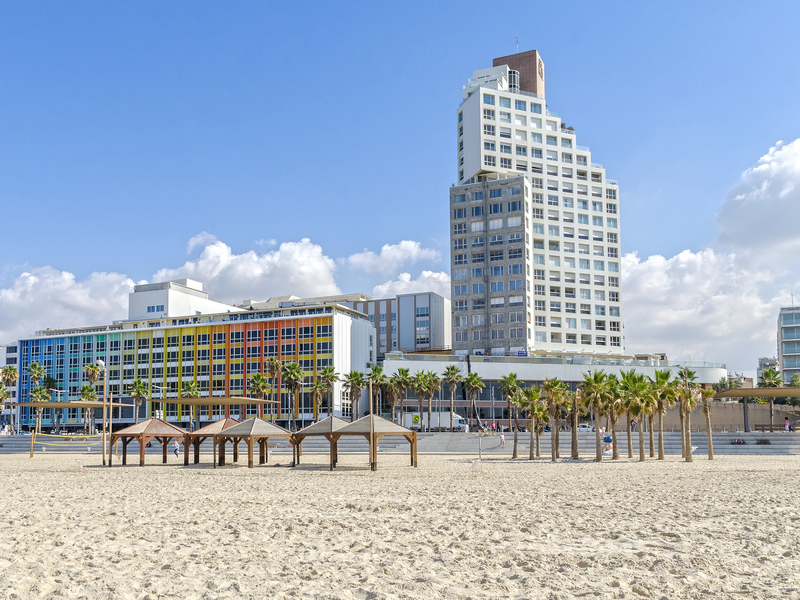 On the Tel Aviv promenade, there are many restaurants and bars within close proximity, so you don’t have to go far to refuel. 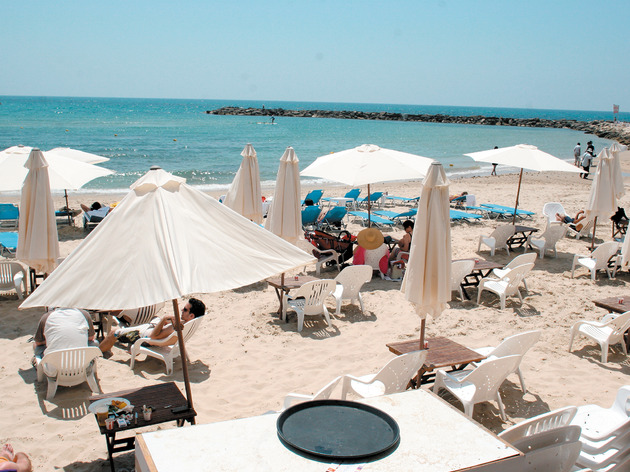 In fact, the SoFrishman eatery sits directly on the beach, serving cold drinks and snacks. The beach also provides first-aid, lifeguards and bathrooms, in addition to beach chairs and umbrellas for rent. 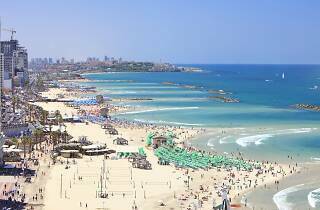 Straight ahead is the sea, to the left is ancient Jaffa and the right is juxtaposed with modern Tel Aviv’s hotel-lined strip. Nearby is Clara, a massive outdoor glitzy bar and club, perched on a cliff overlooking the sea with a gorgeous view of Jaffa’s skyline. The eclectic crowd on this strip includes youthful revelers and belly dancers who move barefoot to the infectious beat of the drums, local residents and musicians playing their percussion instruments, clapping in rhythm or dancing along. 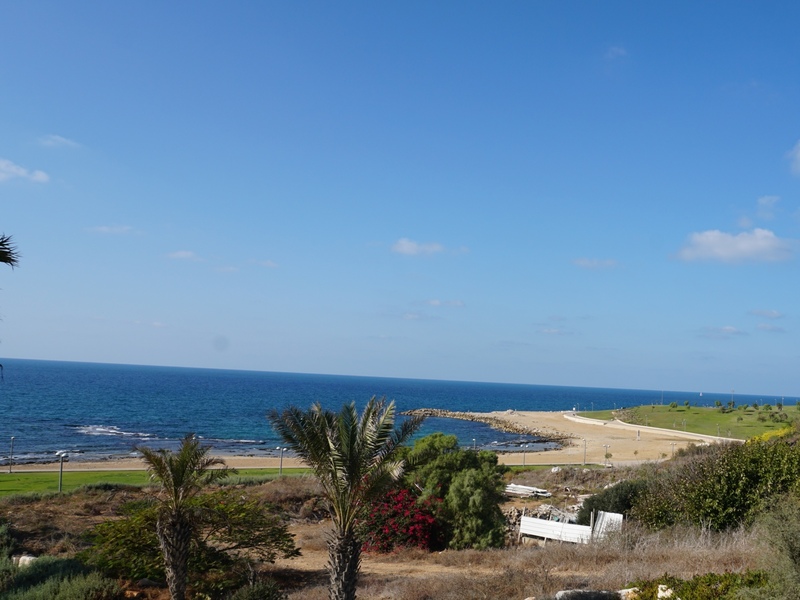 This is also where young surfers come for lessons at the surfing club situated right on the sand.